The fastest and easiest way to pack salad is now at your fingertips with the help of this round bottle. 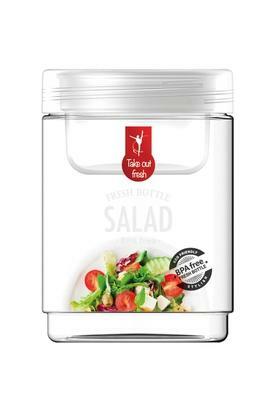 It comes with an airtight lid which will keep the contents fresh and ward off germs and dirt. Moreover, made of a nontoxic material, it also assures your safety. Binge on your salads more often and also while you are travelling with this round bottle by Komax.